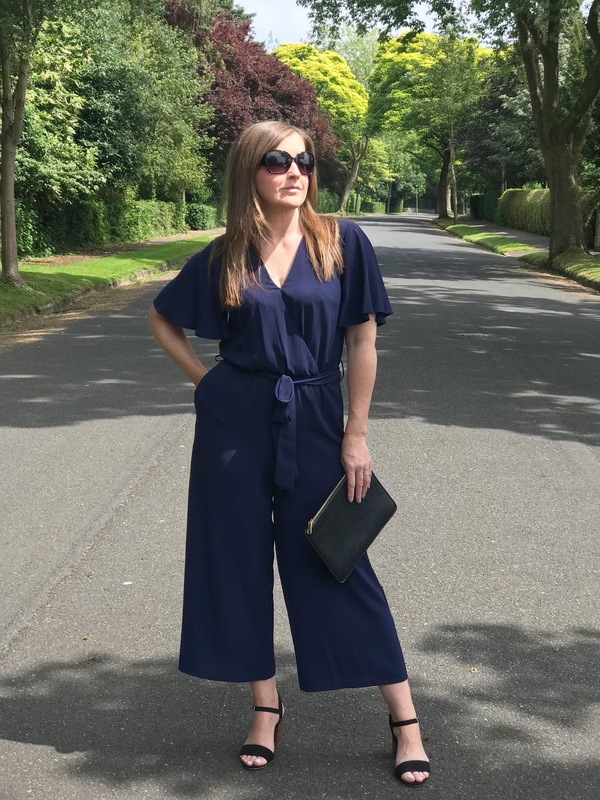 I love a jumpsuit. Despite the fact that every time you need a wee it becomes a mammoth task, in the loo for hours, wrestling to get the thing off, arms flailing everywhere! Right? Let's not talk about the ones that have that zip that you just can't reach and you need a second pair of hands in the loo!!! That aside I still love them and I picked up two new ones very recently and wanted to show you. They're both from Primark. Mind you, haven't we been lucky with the weather in the UK lately? We can't complain can we? I feel like I turn into a different person when the sun's out. 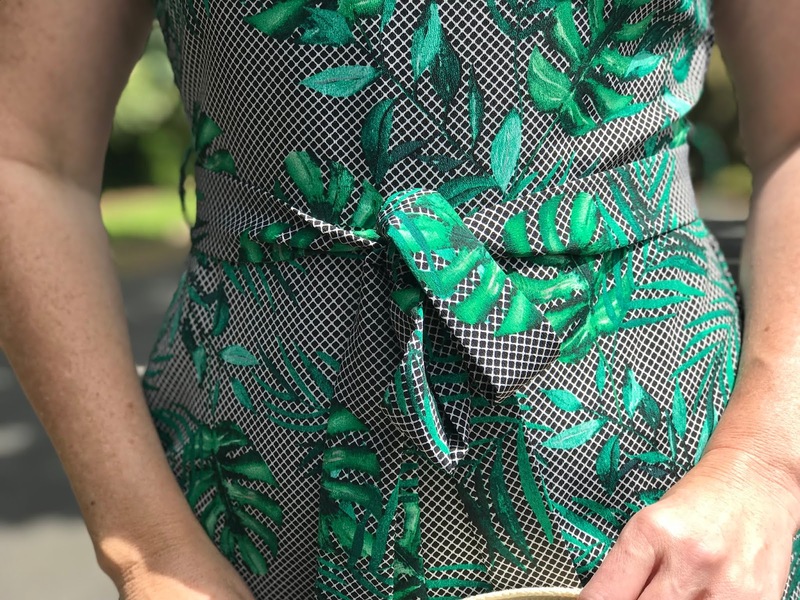 So this jumpsuit is super comfy to wear and it's a lightweight fabric. I think more casual and daytime wear to be honest or for those balmy evenings on holiday. This one's coming in my suitcase for sure. When I first tried it on I wasn't sure on the sleeves if I'm being completely honest with you because I HATE my arms, I mean really hate my arms. 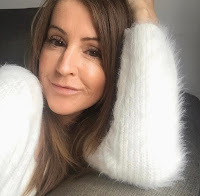 Well, just the tops of my arms to be fair, lumpy, bingo wings, freckly, arghhhhh, they just don't look good, so I try and hide them when I can. 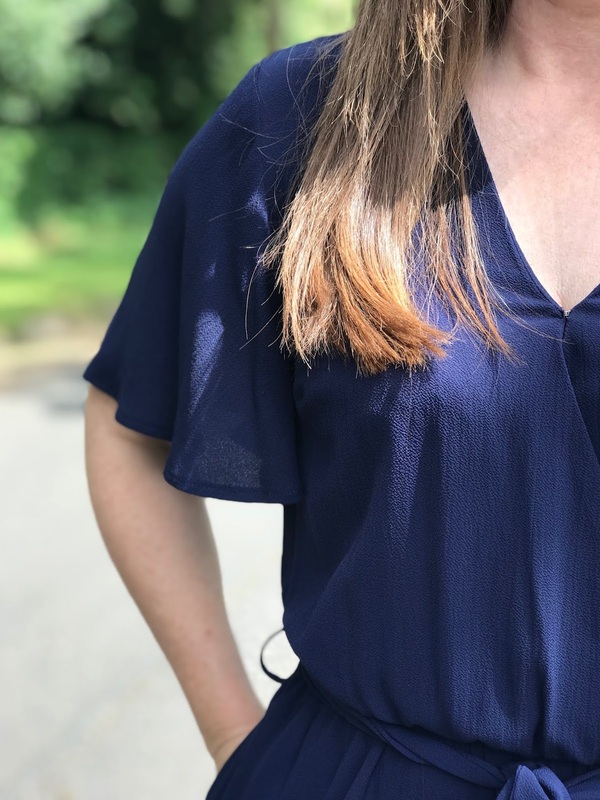 The short sleeves on this jumpsuit doesn't hide them at all but I'm trying to be confident and go with it. Trying to love the flabby arms is hard though. As I said another great Primark find. This one is ridiculously comfy to wear but remember that issue of getting it on and off? Well, this one beats them all. I can't lie, it's struggle, it actually wears me out but I don't care because I love it and hey, no flabby arms in sight. Errr.......pockets!!!!! I just love the sleeves on this one and when you eventually get it on [you immediately start panicking about how you'll get it off in an emergency situation] it looks so stylish and fits so well. I can't say this fits true to size because I'd normally be a size 10, possibly an 8 on occasion but this is a size 6!!!!! WTF? This is not hard to get in and out of because I thought I'd just try and squish every ounce of me into a size 6, no, because I still had to squeeze every bit of flesh into the size 8 but then that one was too baggy. I just think whatever size you have in this one, manoeuvring yourself in and out of the garment is tricky. Please don't let that put you off though, it might be totally different for you, you have to go try it on. I've linked this one here and it's still in store. This one I'll wear for more formal occasions I think because it has more of a tailored look, but to be fair it also looks great with a pair of white trainers. I've also tried it with a nice black belt rather than the tie belt and that looks fab, add some simple accessories and you're good to go for a night out. I think a jumpsuit can be flattering whatever shape you are. 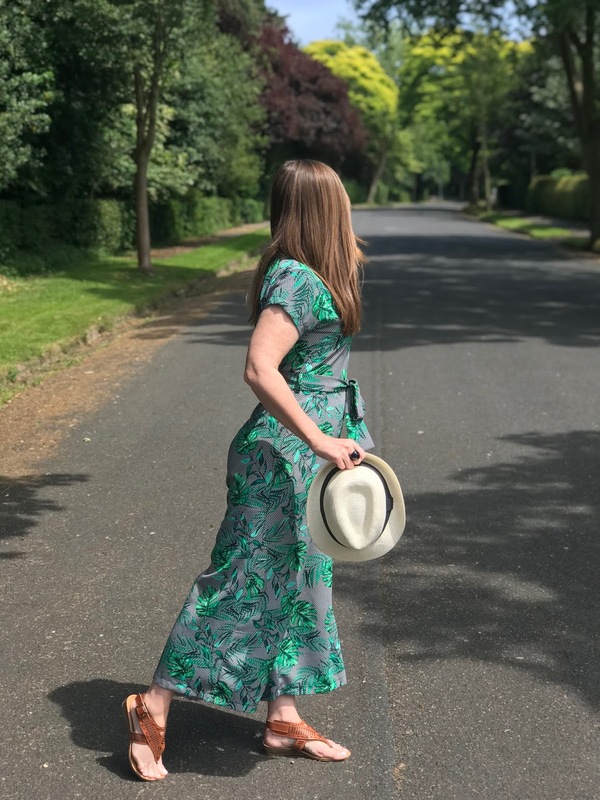 I always thought a wide leg one wouldn't be great for me, I thought I'd look a bit swamped with all the fabric but I think I can get away with it. You might tell me otherwise :) Thing is, there are so many styles it's about finding the right one for you that you feel totally comfortable in. 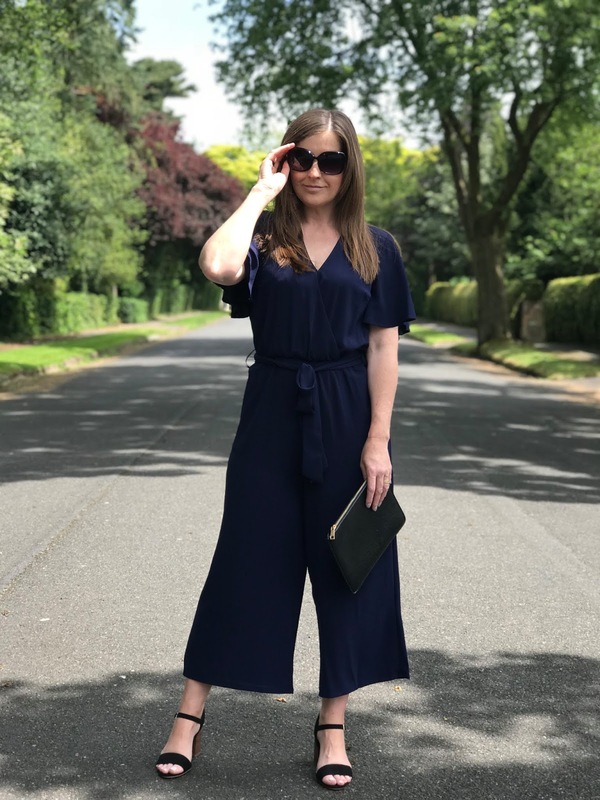 I own quite a few now, do you love a jumpsuit? You might also like to read: Tassel earrings-the trend continues. 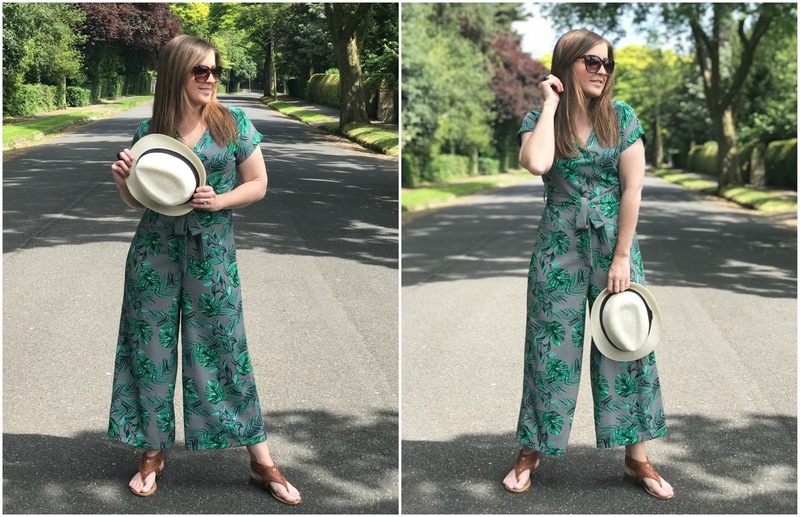 I love both jumpsuits, especially the palm print...it's so Summery! 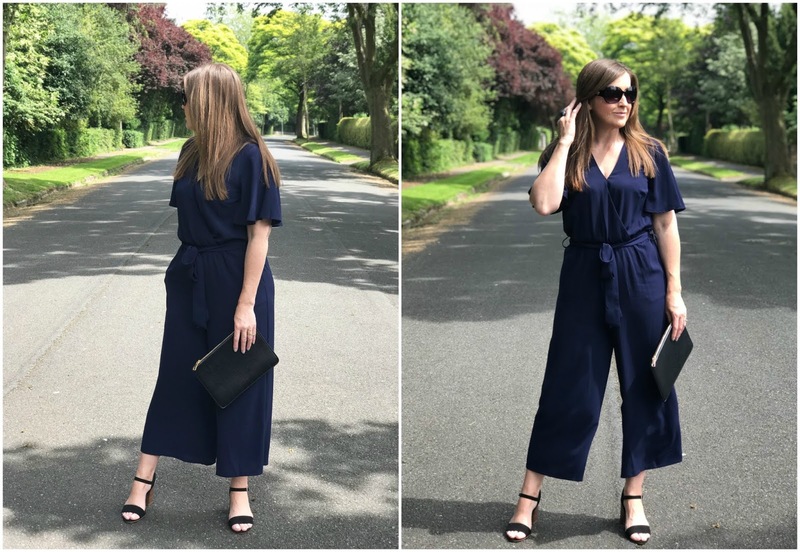 I'm obsessed with jumpsuits at the moment, and I think they're great for holidays. I would even wear them to work if it wasnt for the bathroom issue. Thanks so much for linking up!